A Christening is the process of presenting you precious bundle of joy, it is a baby’s first public appearance to the world and it means a lot to the parents, friends, relatives and a big deal to the baby. The baby will never have any memories of anything that happened on this day, but the memorable pictures and video recordings you make of this day will be appreciated long into the future. Ribbons have been in use as accessories for ages and it is because they come in different sizes and attractive colors that can be chosen to match with a baby’s outfit. During a special occasion such as a baby’s christening, printed ribbons can be used to improve the baby’s appearance. Depending on the size of the baby’s hair you may need to accessorize it with colorful ribbons matching the christening dress. Ribbons offer a simple and affordable accessory to add to a baby’s attire, they are easy to cut and fold into desirable shapes and sizes to make a baby look cute. Ribbons may be fantastic for babies with longer hair but if the baby has short hair, then head bands would be the next best option. Head bands are fun and cute accessories that change a baby’s appearance in a huge way. Most babies at a tender age may not have hair on their head and the use of a head band especially during christening will avoid questions as to whether the baby is a boy or a girl. They are popular among girls and even babies and you can find them in local stores or make your own. Bonnets have been worn for centuries by all kinds of people, nowadays they are worn by military personnel and for religious or academic occasions. They are also worn by toddlers to protect them from elements of nature. Depending on the season and the weather during your baby’s christening, it is advisable to accessorize the outfit with a cute bonnet for protection and warmth. We all know babies are cute but can be pretty messy no matter the occasion. 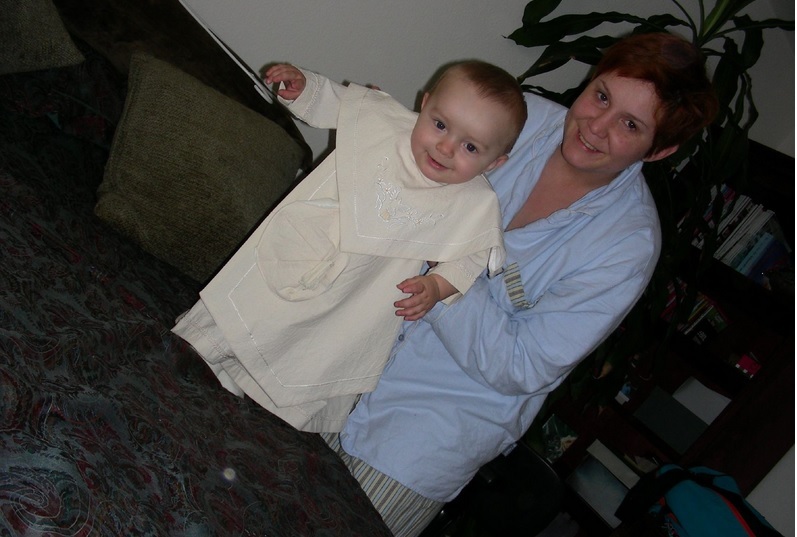 It is therefore important to put on them protective bibs to protect the precious christening gown. Buy from local stores or make your own bib that complements the baby’s outfit. Christening shoes make any baby appear cute; they come in neat little sizes and shapes and with different designs for both boys and girls. Whether the baby’s christening outfit is an heirloom or new, cute shoes make a whole lot of difference. Welcome to Super Cute Fashions.com! Thanks for stopping by! Check back frequently for posts about the hottest new fashion trends all the way to how to do your make up for any occasion! Will a Baby Be Part of Your 2016?